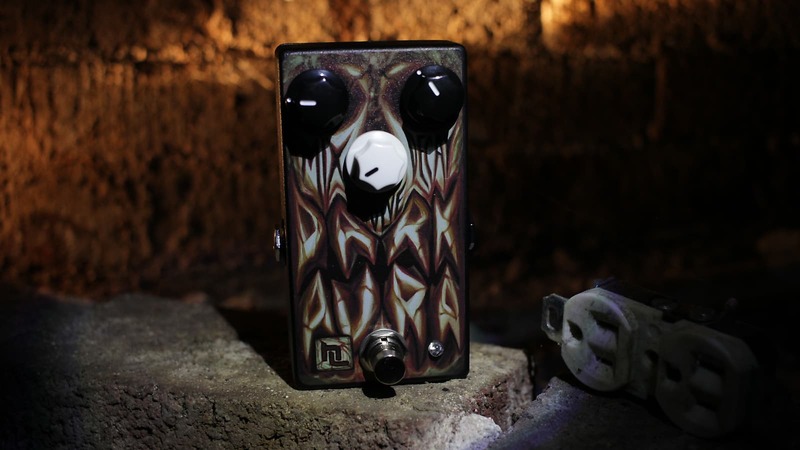 The Dark Aura offers easy-to-use reverb with something extra. Think of it as an eerily addictive spectral bonus. For starters, the pedal delivers classic, super lush concert hall reverb. It can be adjusted to create a wide, highly versatile range of sonic spaces -- everything from cozy catacombs to an all-engulfing wash of mindwarp infinitum. And then things start to get a little weird. The "Evolve" knob is Dark Aura's secret weapon. It adds slippery, shimmering modulation to the reverb's natural ambiance. In small drams, "Evolve" delivers extra dimensionality and a sense of animation. A bit more "Evolve" creates a chill in the air, like a fleeting shadow. In large doses? Well, you better start budgeting for some major exorcism expenses. Based on purchase price of $179 at 10% APR for 12 months. Excludes tax and shipping fees, to be calculated at checkout. Rates range from 10-30% APR. Choose from 3, 6, or 12 monthly payments. Select Affirm at checkout to get started.